It is with great pleasure that Janet and I write to you about the continuing success of McGuffey, thirty-two years after its founding as the McGuffey Foundation School. We are also writing to ask you to consider making a donation to our Annual Giving Campaign. During each tour I give of the school, I love sharing the story of McGuffey’s founding and the deep commitment of those who took such a giant leap of faith. Since then, each family who has come through McGuffey can claim a part in its success. Just five years ago our enrollment was below 45. Current enrollment is 75 students across preschool through Grade 8 from fifty-one families. This year we have 30 students in Grades 4-8 alone. Almost all of our teachers have their Montessori certification and we have rolled Montessori structures and principles throughout the entire school. It is amazing how much Montessori values match the values upon which McGuffey was founded. Our partners program continues monthly across the school, a program many alumni note as a special part of their McGuffey memories. We expanded our participation in Glen Helen’s Outdoor Education Center up to Grade 8 and extended our stay there from three to four days. This is our second year of participating in the Montessori Model United Nations program. Teachers have regular time to plan and align their curriculum across classrooms, allowing for collaboration and coordination. Our Middle School students traveled to Washington, DC last spring for the first of a three-year rotation of special trips. This spring we are Chicago-bound. The democratic process has become more deeply embedded in the Upper Unit as they develop committees to work on issues they care about and present proposals to staff. McGuffey’s Annual Giving Campaign is a direct appeal to trustees, parents, grandparents, alumni parents, alumni, faculty, staff and friends for financial contributions in support of the school’s operating budget. Tuition and other fees cover about 95% of our annual operating expenses. The purpose of the Annual Giving campaign is to help bridge this gap, including the financial aid we provide. Funds raised through our annual Trivia Night, the Shop Local Card and our Amazon affiliation also help fill this gap. To use our Amazon link, simply click on the Amazon logo on our website and your purchases help us earn up to 6%. Thank you for being both a part of our history and a part of our future, and for considering a tax-deductible gift to McGuffey Montessori School. 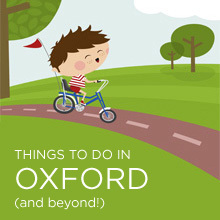 Please come visit us the next time you are in Oxford! For your convenience, we accept donations to our PayPal account using the “Send Money” feature. Please direct such payments to donations@mcguffeymontessori.com. This entry was posted in alumni, fundraising, Uncategorized. Bookmark the permalink.